Linda Newbery is an author of many talents. 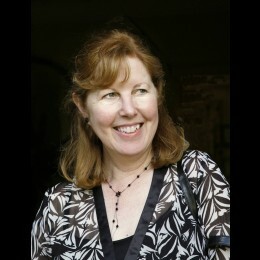 She started off writing books for young adults, winning the Costa Children's Book Prize in 2006 with Set in Stone. She has now published more than thirty books for children and young adults, including picture-books, and books for early readers and older children. She has twice been shortlisted for the Carnegie Medal, with The Shell House and Sisterland, and Catcall won a Nestle Silver Award. 1. I would never choose to plan in a hurry. When I start to have an idea, it needs to settle, and other ideas gather around it. It takes time to see the possibilities of a story. 2. Depending on what you're planning to write, spend time reading, visiting galleries, watching films, going for walks, visiting special places - it all helps to make the world of the story begin to feel solid. 3. Enjoy this stage! I often don't make any notes at all while an idea is fixing itself in my mind - that comes later. But I do start filling a noticeboard with pictures and words, and keep adding to it. 4. But don't wait till you've done all your research before you start writing - you might never start. Eventually you have to take the plunge and just begin. You can find out other things you need to know on the way - or afterwards. 5. Writers work in different ways. Some wouldn't start without a chapter-by-chapter breakdown, but that doesn't work for me. Often I start writing when I'm happy that I've got promising ingredients. Planning is very different from writing - more logical, more reasoned - but it can only get me so far. I know that my best ideas won't come until I immerse myself in the writing. I prefer to have an idea of "stepping stones" - important marker-points in the plot - and to see what happens in between. Linda’s new book, The Treasure House, will be published in May by Orion Children's Books. I always find it interesting to hear how other people write, so great to read this from Linda. As someone who loves researching, plotting, and planning, point four is particularly apt for me! Fascinating stuff. I think a lot of us fret about how much planning, plotting, procrastinating we're doing. I love the idea of just letting ideas mill around the brain for a while before starting. But it takes courage and trust to let your brain do all that on its own, if you see what I mean. Sage and sane as ever. Linda is one of the wisest writers I know. Listen to her words! I'm a planner, but I think that's because I needed to get to grips with structure and pace. Hopefully it's all sinking in now and I'll have freedom to explore more. Great advice, Linda. Thank you. Thank you Linda Newberry for really joyful tips on how not only to research but how to approach research - with wonder and joy and just for the love of knowing new things! Thank you! Love that noticeboard! I find that writing a chpater ... even if it never does appear in the book, gets me started with research. Thanks, Linda! Thanks for such good advice! My ideas tend to start on the page - but then I've learned the hard way how important it is to let ideas settle, and grow in the time that they need. Sorry, that was me just now. Clicked too soon. I agree with Celia - Linda is a woman of great wiseneosity and her cherished words of advice should be memorised! Sadly I don't know who said it but writing has been described as akin to washing an elephant - no obvious place to begin & hard to see where you've been! I find the planning/writing approaches equally engaging and terrifying. Thank you, Linda, for your good sense. a wonderful post full of some very sage words. Loved the notice board and something I might pinch. Yep this is great, thanks Linda. I like the reminder that ideas need time to brew - it helps when I panic that I'm doing nothing. I loved the idea of the steppings stones. Something solid but with space to change the story too. thanks linda! I so agree with everything you say, especially the bit about the best ideas coming once you immerse yourself in writing. You have to let the ideas out before they start flowing, but it's such a scary process when you're starting out, because in the back of your mind (all right, MY mind) is this little voice saying, 'what if you can't think of anything to write?' So it's lovely to know that someone with 30 books under their belt has the same process going on and is still going strong! Thanks for the post. I used not to plan at-all, and get hopelessly lost about a third of the way into everything I wrote. Then I tried planning everything rigidly, down to how each chapter should begin and end, and got bored with my stories before I'd even started writing them. Now I do a bit of both – some planning, some plunging in and feeling my way as I go along. Thank you for such a great post, Linda! Thanks again for the comments, everyone. Celia Rees did a good session on the varieties of planning on the Arvon course we did together - from doing no planning at all, to having a chapter-by-chapter outline, and - between those two extremes - the stepping-stone approach. I do know writers who like to have every episode and every plot development planned before they start writing, but my mind just doesn't work as logically as that. Getting to know how your own mind works, and how to get the best from it, is a crucial part of being a writer! Great advice, Linda. 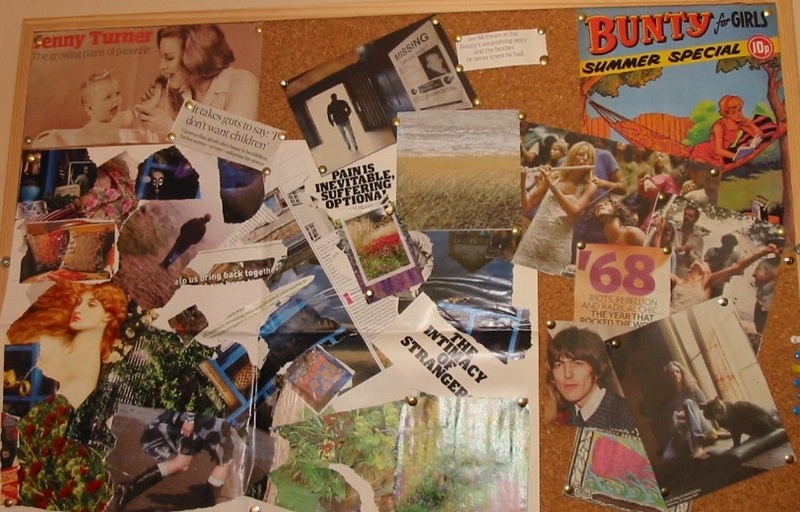 I love that noticeboard! Horses for courses. I prefer to have a good idea about my plot, and where the tale is going first. Then I can do focused research. My first novel took three years to research though, despite having the whole storyline mapped out in less than a week. As an ex-Management Consultant, I tried to give some practical advice for writers on this subject on my website, but at the end of the day, time and practice will create the method that each writer will make their own. I also think genre has a great deal to do with how you approach research. Investigating for a hi-tech action thriller is very different than for, say, a fantasy novel.